The Journey to Abiline is a relatively new concept. It has appeared for some people in the PMP Exam, even though it is not mentioned in the PMBOK Guide. This shows that one needs to be well read, and be aware of a number of Management Theories, Human Resource Theories, and Motivation Theories for the PMP examination. 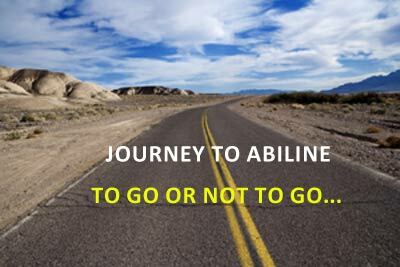 This concept of Journey to Abiline was first coined by Jerry B. Harvey, when he wrote about this in his article “The Abiline Paradox: The Management of Agreement” in 1988. Stated simply, it is as follows: Organizations frequently take actions in contradiction to what they really want to do and therefore defeat the very purposes they are trying to achieve. It also deals with a major corollary of the paradox, which is that the inability to manage agreement is a major source of organization dysfunction. So this means that most people agree to do certain things as a group, or an organization, which they personally do not agree or believe in… just to be a team player, to save face, and/or to avoid conflict. In fact, when asked individually, it turned out that Not a single person supported the idea, or wanted to do it. Yet, everyone thought that others wanted it, and ended up saying Yes, just so that “they don’t rock the boat”. The article by Jerry has many interesting case studies, and examples which clarify the concept, and proves its existence, why it happens, how it happens. An anecdote is about the Hamlet’s Dilemma – “To be or not to be” is analyzed in the context of the Journey to Abiline. All decision making can be flawed if it gets affected by the Abiline Paradox. A very interesting read. Knowing this concept can help you get one question correct on the PMP exam too! Thanks! I had no idea what the Journey to Abilene was about.